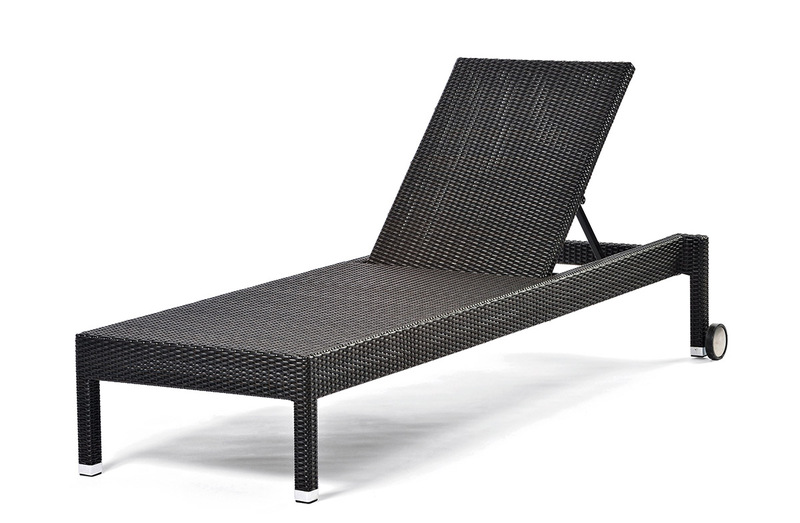 Outdoor chaise lounge with adjustable back rest and wheels on rear feet. Structure in aluminum covered in woven man-made material. Optional cushion upholstered in outdoor fabric.